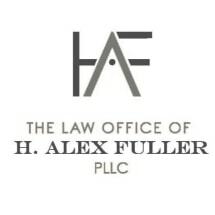 The Law Office of H. Alex Fuller, PLLC, in Plano, Texas, is dedicated to criminal defense work. This is the firm of choice for people facing criminal charges in not only Plano but also in Allen, Richardson, McKinney and Frisco, and throughout Collin, Dallas and Denton counties. The firm also handles expungements for clients wishing to get their criminal convictions removed from their records. Clients at The Law Office of H. Alex Fuller, PLLC, can be assured of receiving the respectful, empathetic and individualized treatment they seek and deserve. Clients are never treated as criminals or case numbers. Rather, attorney Fuller takes the time to get to know each client, listen to his or her story, and advise him or her of all available options. Then he puts his experience and passion to work for him or her, devising the best strategy to meet his or her goals. Clients always receive a free initial consultation, and this law office accepts all major credit cards for payment of its reasonable and competitive legal fees.